ARLINGTON, Va., May 16, 2017 /PRNewswire-USNewswire/ -- Traffic congestion on the U.S. National Highway System added over $63.4 billion in operational costs to the trucking industry in 2015, according to research released today by the American Transportation Research Institute. Utilizing a variety of data sources including its unique truck GPS database, ATRI calculated delay on the NHS totaling more than 996 million hours of lost productivity, which equates to 362,243 commercial truck drivers sitting idle for a working year. On May 16, the American Transportation Research Institute unveiled its annual look at the cost of congestion to the trucking industry. ATRI President and COO Rebecca Brewster detailed that congestion on U.S. highways cost the trucking industry more than $63 billion annually. For more on the report, go to www.atri-online.org. ATRI's analysis also documented the states, metropolitan areas, and counties that were most impacted by these delays and subsequent cost increases. The top 10 states experienced costs of over $2 billion each, with Florida and Texas leading with over $5 billion each. "Congestion-related costs continue to rise and impact our supply chains. A five minute delay for each UPS vehicle, every day, costs UPS $105 million annually in additional operating costs. ATRI's report quantifies this drain on the economy which must be addressed through targeted infrastructure investments," said Rich McArdle, President of UPS Freight. You can download the full report from the website at atri-online.org. 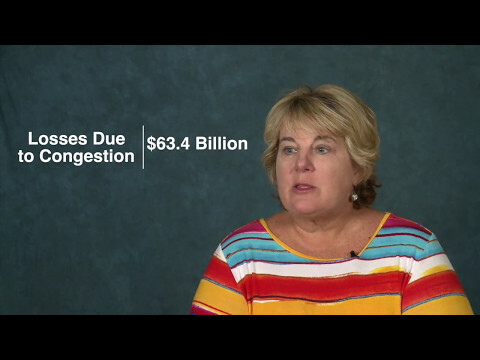 For more, watch ATRI President and COO Rebecca Brewster discuss the cost of congestion report here. ATRI is the trucking industry's 501c3 not-for-profit research organization. It is engaged in critical research relating to freight transportation's essential role in maintaining a safe, secure and efficient transportation system.